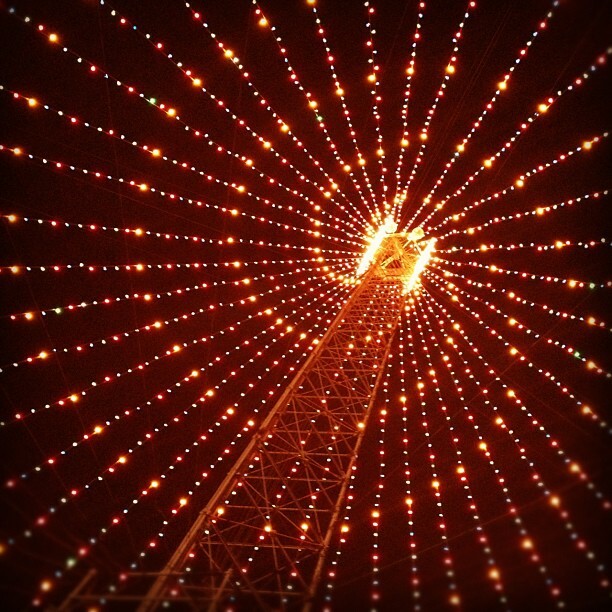 The Zilker Tree Lighting is Sunday at 6pm! Looking for a FREE, fun way to spend Sunday evening? Maybe you have some family still in town to entertain? 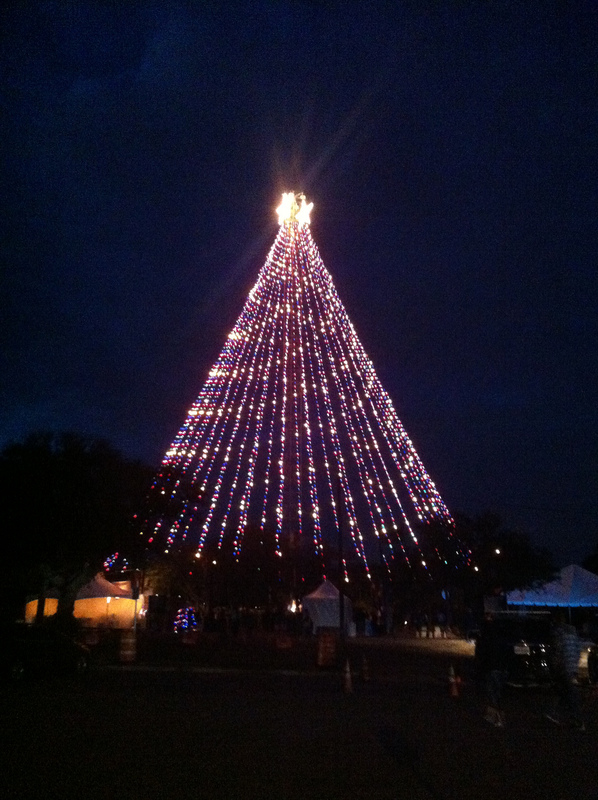 Come out to the 48 annual Zilker Tree Lighting in Zilker Park. The lights go on for the first time at 6pm on Sunday, November 30th! Ms. Kat — and about 70 friends — will be there playing holiday music with the Austin Civic Wind Ensemble. It will be ACWE’s 37th time performing at this event — but only the 5th time I’ve been there, although *some* current ACWE members have been there from the very start! Our Christmas/Sousa mash-up “Jingle Bells Forever” will be led by a surprise guest conductor — who will it be this year??? Come find out! 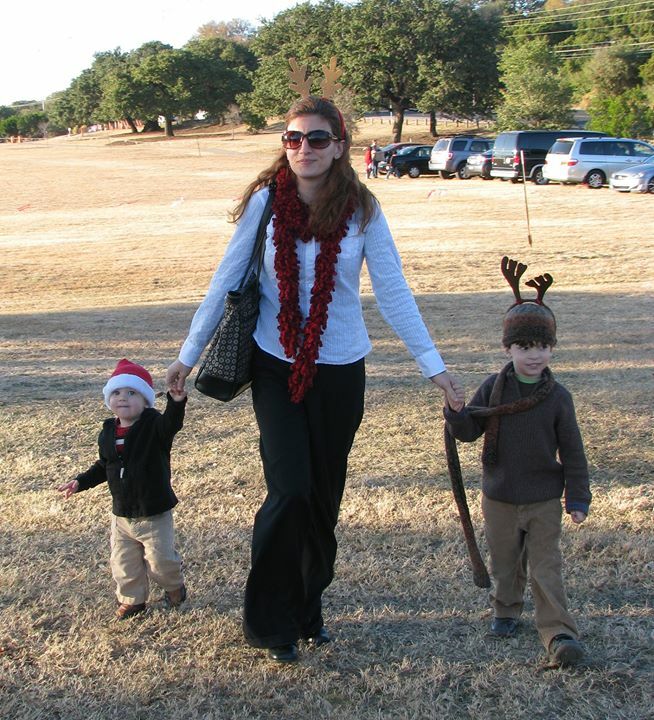 Taking my kids to their first Zilker Tree lighting — and my first time performing there — 2010. We have a great time putting this program together, and it’s a great no-pressure way to expose tiny people to large ensemble music. No sitting and no silence required. You can sing, dance, and spin to your hearts’ content! November 30, 2014, Tree Lighting Ceremony. 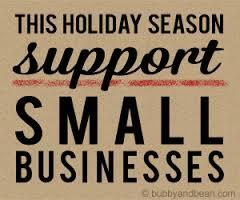 Join us for the tree lighting ceremony at 6:00 pm. Prelude Music by the Austin Civic Wind Ensemble, Robert Laguna, Conductor. Additional event music by the Barton Hills Choir, Gavin Tabone, Director, Kati Achtermann, Principal. This entry was posted in Around Austin, Holidays, Music Festivals and tagged 2014, ACWE, Austin Civic Wind Ensemble, Austin holiday events, austin texas, concerts with children, family-friendly, FREE, holiday, Ms Kat's Music and Movement, music festivals with young children, Zilker Park, Zilker Tree Lighting. Bookmark the permalink.